Informal Names: The Rhg’Zez, the Zeleniyans, Masks. Population: 5.6 billion humans, 70 million indoctrinated Aranek. Homeworld Geological Analysis: Little to no remaining useful geological assets. Homeworld Atmosphere: Mostly carbon dioxide/monoxide. Homeworld Description: A highly populated city world with dense black/brown clouds shielding the sun from the eyes of the inhabitants. A place where it seems there are only factories and assembly lines and government buildings. The people live in surprisingly clean, sterile environments undernearth the surface layer of the city or in towering apartment complexes. In orbit, the many orbital stations receive trade ships from around the galaxy each day, while they send out their own to empires known and well-received. Economical System: Free economy with socialist restraints. Language: Slavnok, an evolution and merging of many Slavic languages. Culture: One devoted to hard work and dilligence, but also an appreciation in the arts. Art museums, opera houses, music stations are not uncommon in the home worlds and the colonies. There is a bonding with man and machine, and the higher integrated with cyborg technology you are, the higher your status is. Intelligent AIs and robots are shunned and outlawed, for they are feared they could make the Rhg'Zez's upgrades obsolete. The year is 2138, one of the most important government decisions in Slavic history is being debated in Russian government. The vote will determine if Russia will host a massive space colonization project, aimed specifically towards Slavic countries. Backed fiercely by the poor, Slavic ultranationalists, and several foreign and domestic government figures popular in Russia, the vote passes. While the United Nations has been convincing humanity as a whole to expand and colonize together, they greatly discourage the segregated colonization project, exclusive only to the slavs and their citizens. Still, the U.N. can do nothing but chastise Russia, as the eastern bloc, with eyes drawn skyward, combine forces to initiate The Exodus Project. A poster of a famous Polish cosmonaut who pioneered the discovery of Kuteznagrad, urging people to move to the colony. The aim is to create a colonization boom on the Russian-claimed planet of Kuteznagrad. It was a planet with a primitive ecosystem, one much like earth’s millions upon millions of years ago, along with a breathable atmosphere comprised mostly of oxygen. Russia lifted the regulations on going to Kuteznagrad, and the eastern bloc governments sold tickets that were cheap enough for the poorest of the poor to purchase, about the price of a small home in rubles. These citizens would then be shipped with their family to the colony at a set date. The first 10,000 pioneers had left Earth within a month of the initiation of the Exodus Project. By 2140, the colony had 340 million, with a growing percentage of the population being born on Kuteznagrad. The First Interstellar war set back the Exodus Project greatly. The countries of Russia, the Ukraine, Bulgaria, and Poland were the only countries that had a government structure outside of Earth. They could still contact each other and make sure what was left of their crippled navies would be in their control. The Exodus Project became the main focus of the remaining nations. They evacuated massive amounts of people, and established a single outpost in the city of Minsk, the capital of the former Belarus, which was one of the least scarred capital cities in the eastern bloc. Moscow, Warsaw, Kiev, and Sofia, the capital cities of the remaining Slavic countries in space were targeted and destroyed by nuclear strikes. With Earth destroyed, the remaining governments and peoples agree upon forming a unified Slavic nation, named after their new colony. The first problem the Kuteznagradan people faced was expansion. There were now atleast 500 million people on Kuteznagrad after the great evacuations, many of them forced to live in poverty. The assets required to expand the cities and the fuel needed for them was scarce, and developing new nuclear plants took up a lot of time and resources. Things looked grim for expansion on the new planet until geologists discovered a new coal-like substance. It was yellowish-brown, and burned with a great intensity. However, it gave off a thick fume that was much more potent than smoke from coal. It was dubbed Yuridium. While it was obvious this was extremely unhealthy, there was no other easy alternative. 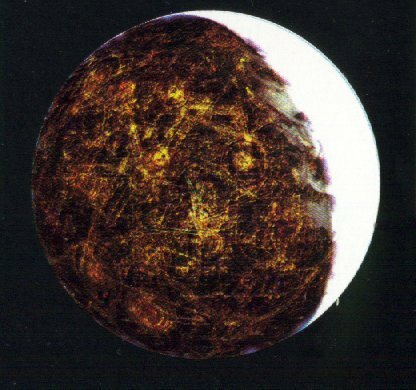 As the colony expanded into a mega-city, Yuridium darkened the skies and shrouded the planet in a yellow blanket. The year is 2278, the time of the pioneers is long gone and history. “New” humans are much stockier due to the gravity of the planet, on average about 8 inches shorter, and have a much denser bone structure. Not only that, but the mish mash of different Slavic languages has created a single unified language, Slavnok, with variations of accents that hint to the former Slavic languages. Over many decades, the ecosystem began to perish with the changing of the atmosphere, and the city dominated nearly 70% of the planet. Air became thinner and thinner and hydroponic farms were working being overworked to max efficiency as the population of nearly 1 billion began to grow unruly. People took to the streets, rioting and looting, most of them wearing military issue gasmasks. The government attempted to turn the atmosphere back, with massive “filter” factories, but they failed horribly. The atmosphere was so thick that it took days to process enough air for a thousand people. They tried to create another colony, mocked by cynical citizens as “The Second Exodus Project”, but the resources required were just too much. In 2279, Fusion Reactor Volgograd experienced a melt down. To this day, the Zeleniyans do not know whether it was a terrorist sabotage or an accident due to government incompetence. Regardless, it was the final coffin in the Kuteznagradan government. By 2280, the Kuteznagrad government is replaced by anarchy. Mass looting, chaos, and rioting. People flee the colony by the thousands, to other human colonies. Millions died. For nearly a decade, chaos reigned. Communities that had air purifiers warred with each other, and fallout from the Volgograd event caused sickness and death in most, but in the case of some newborns, it was a new beginning, a new type of human. The Sons of Tomorrow broke up raiders and bandits with hired remnants of the Kuteznagradan army, tested mothers and fathers for probability of having a Child of Tomorrow, or a Rhg’Zezian baby. It was an uneasy time, but the Rhg’Zezians slowly replaced humans in government positions in the Sons of Tomorrow and the survivors of the apocalypse. The Rhg’Zez grew to have very pale skin, little to no hair, and if they did have any it was short and usually dark, and a slight resistance to radiation. The Sons of Tomorrow cracked down on non-Rhg’Zezian breeding, and geneticists worked tirelessly to increase the birth rate of this new human substantially. A long period of rebuilding followed, with the Sons of Tomorrow being disbanded, no longer needed, and was replaced by The Republic of Zeleniy in the year 2351.The proud peoples of the new nation promised to honor their ancestors, as they spread throughout the ruins of Kuteznagrad, and took to the stars once again. During the dark ages of the Zeleniyan apocalypse, many experiments were done on adding permanent breathing apparatuses to the Humans. While it was nothing extraordinary, it sparked a revolution that carried on into the modern ages of Rhg’Zezian science. Unrestricted by the totalitarian government that presided during the dark ages, these scientists brought in hundreds of volunteers. They had lost an eye, a limb, or organs weren't functioning properly after the chaos. It was hard work; it took decades to develop a way to add permanent synthetic body parts without the body rejecting them. A Rhg'Zezian biologist decoded this problem by tricking the body into thinking these body parts being added was not hostile. This method rose above all others, and cyborg development skyrocketed. This sparked the integration of cyborg technology into Zeleniyan culture. The Republic developed its homeworld into a production powerhouse, buying raw minerals and exporting products. The Kuteznagrad shipyards are famous for their mass production of civilian and military space craft. It has prided itself in trade and peaceful interactions with other nations. Yet the Republic holds a planet by military occupation. The Rhg'Zez has held the jungle world of Zaa'nabar in military occupation since 2416, a world inhabited by a reptilian species, the Aranek. It is rumored the Aranek defended a sacred relic which happens to be of interesting technological composition. The Rhg'Zez took the “relic”, but the government will never admit that. They are not at war with the peoples, but they were once. Now they have military forces stationed there, oppressing the reptilians who have 60's era technology. The Zeleniyans outlaw any AI that advances beyond the knowledge of humans, or any that actively develop the capability to learn. They are extremely xenophobic to robots, drones, droids, replicants, whatever you want to call them, the Zeleniyans detest them for whatever reason. The Czar of the Republic, a middle aged Rhg'zezian who was elected into power 3 years ago when the last Czar was assassinated. He has a high popularity rate, and has made historical changes to his nation. He leads his proud people with an equal, unmatched pride. Ketaryna Zygboyum is a young woman who graduated top of her class in the Naval Academy of Zeleniy. She is a natural born leader and a sharp tactician, and above all has been assigned to command the flagship of the Navy. Lord Admiral Burydi commands the entirety of the Rhg’Zezian armed forces, he is a pride filled, stubborn, and honor-greedy individual. Gorod is a mysterious man, he was part of a team that recovered the Great Artifact, the Aranek’s sacred relic located in a deep temple. While the Rhg’Zezian marine attachment he commanded was expected to dispatch of the Aranek defenders with extreme ease and no casualties, he was the only one to return. It is rumored that the artifact was left by an alien race long before the Aranek themselves, and that it unlocked the rumored and mystical powers of the human mind when he came into contact with it. His purpose is unknown but he is an asset of the Zeleniyan government nonetheless. A company of U.S.C. origins disputes a resource claim over an asteroid field with Rhg'Zezian representatives from the Zeleniyan mining company Stoilensky-GOTSK. The Rhg'Zez are stocky human descendants, standing on average around 5’5’’. Their bone structure is much stronger than that of a human, and their skin is pale. They have little hair on their body, and if they have any it is usually dark and doesn’t grow very long. Their eyes are normal human colors but can be extravagantly different due to mutations in genes after the Volgograd Reactor incident. Lastly, they breathe carbon monoxide/dioxide, and are usually seen with a full gasmask if associated with the military or a halfmask/transparent facemask if civilian, that is if they’re outside of any of their ships or their homeworld. The Aranek number atleast 2 billion, a fraction of that number actually being citizens of the RoZ. The Rhg’Zez employ them in the military and the workforce. There are few Aranek in high class positions. The Zeleniyan military does not focus on supreme equipment, hundreds of different variants of vehicles and weapons and elite special forces units, but supreme strategical efficiency, adaptability, and speed. Its high command holds onto old and conventional military tactics and procedures, bragging a higher efficiency than foreign countries and a large mission success margin. The Zeleniyans hold onto their Slavic roots even in the military, as their uniforms, weapons, and vehicles are all upgraded versions of their ancestor's Earth-age weaponry. Such as the rifles bearing the name Kalishnikov and jets manufactured under the company Zeleno Mikoyan-i-Gurevich. The Zeleniyan ground forces fight with utmost loyalty, discipline, and professionalism. While the general mass of grunts is not highly trained, they will get the job done. The Zeleniyan army doctrine consists of overwhelming enemy forces with divisions of infantry and force multipliers such as armor, air support, and artillery. The Zeleniyan army also hosts an intriguing program where giving yourself permanent military-grade cyborg implants will allow for a higher pay and promotions. 1st Penal Army, the "Second Chancers", "666th Penal", "Mirovka Suicide-dogs". The 1st Penal Army is a large punishment corps that serves as a second chance for those facing death or serious imprisonment charges. Once the violators have served either 4 tours or 5 years, they are put on a final assessment trial to analyze if they will be executed, serve the remainder of their jailtime in a normal prison, or be released completely. The 200,000 soldiers of the 1st Penal are anything from captured Aranek insurgents, Navadniy-family gangsters, to court martialed ex-soldiers from the regular military. This unit can be described as the least conventional and least organized force the army has to offer. 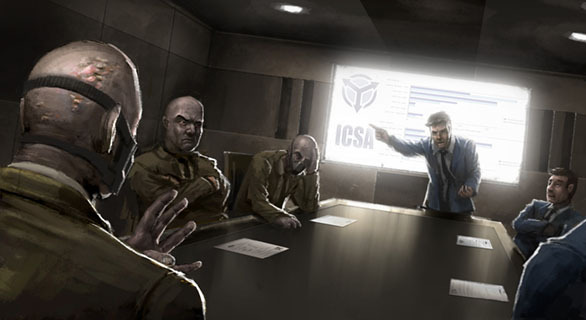 While Zeleniyan high command claims they are used for forced labor such as building FOBs or working in assembly lines, most units are lightly equipped and sent on suicidal charges to probe at enemy emplacements. Armed with only a rifle and a magazine or two, and a uniform with no armor. The unit is lead by Officers with a poor service record, those who are inept at making strategical and tactical decisions efficiently and quickly. They are backed by vicious "Kommisars" and their rear guard units, who murder anyone who retreats or does not follow an order. They are most famously known as the "Mirovka Suicide-Dogs", as most of the soldiers are from the Mirovka super-prison, and are lead on suicidal charges in almost all engagements. The Zeleniyan Army. The Zeleniyan Army is the main force of the Zeleniyan's ground forces. It consists of 2 million active duty soldiers, with 5 million in reserve. Army regulars are issued standard rifles, bullet proof vests, UBZ-3 gasmasks, and a uniform. They are augmented with the help of air and armor support. Most grunts cannot afford many cyborg implants, thus they are only commonly found with replaced eyes, a limb or two from a previous campaign. Only a few ranks are issued free implants that augment their combat abilities. The Zeleniyan Marines. The Zeleniyan Marines are a subsection of the Navy that assist in sieging and assaulting planets, boarding and protecting ships, and high-speed rapid deployment raids. They are about 1 million strong. They are issued a higher grade of equipment than regular army grunts, are given more free implants, and are incredibly well trained. The Zeleniyan Marines are characterized by their skull-like gasmasks and dark uniforms. They employ Aranek into their forces as well. Buricyzka Shock Troops. The Buricyzka are the cream of the crop, the epitome of special forces that serve the Republic of Zeleniy. Issued top of the line equipment, high-grade, experimental, top secret weapons, armor, and implants, and having the most experience and training in the entire army. They operate in black and crimson red uniforms with heavy armor, or experimental power-armor suits. They are rarely deployed, but when they are, you'd best not be their target. They are under 50,000 in number, 10,000 Aranek. The UBZ-3 Gasmask. | The UBZ-3 is the iconic Zeleniyan gasmask, with a hose attached to a carbonmonoxide tank. Many variants include facemasks, helmet integrations, HUDs, and filters in place of hoses and tanks. The UBZ-5 Heavy Gasmask. | The iconic skull gasmask worn by Marines. OMON-7 Armored Exoskeleton. | The OMON-7 is the first powered armor that the Zeleniyan forces has incorporated. While it may be called power armor, it pales in comparison to foreign power armors. It was designed with flexibility, agility, and speed in mind. While it still is extremely strong and resilient, it will not take as much as the USC's powered armor for example. The ZGSh-30 was the main pistol chosen to be the Zeleniyan army's side-arm after a showcase in 2330. It had supreme power, accuracy, and the ability to mass produce it easily. Action: Short recoil, rotating barrel. Rate of fire: If set to automatic, 300 rounds per minute. Feed system: 15 round box magazine. The Kalishnikov 2360 is the fourth generation modification of human weapons brought by the Rhg'Zezian's human ancestors. After use of the old Kalishnikov 2115 for nearly two centuries, Zeleniyan high command issued the order for a new rifle to be produced with the Rhg'Zezian's newfound technologies. It was reminiscent of the older 47 and 74 models, but modified heavily to decrease inaccuracy caused by recoil. The new rifle was made with a slightly heavier cartridge that did not affect accuracy greatly. Its muzzle velocity was increased severely, as well as its range. The Kalishnikov 2360 revolutionized infantry tactics, as most infantry could only engage effectively at around 200-300 meters with standard rifles. Now, Zeleniyan troops could fire at up to 500 meters. On top of all this came the guarantee that the weapon would fire after being dumped in sand, water, or mud, just as its slavic descendants would. Rate of fire: 700 rounds per minute. Feed system: Standard 45 round magazine. 75 and 100 round drum mags exist for this weapon as well. The newest rifle, the Kalishnikov-2437, is issued to special operatives units and Zeleniyan Royal Marines. The model is completely different from the past, improving accuracy greatly. There is nothing much to be said about this model except that it has overall improved traits from the 2360 model, and that it is a bull-pup design. Other variants allow it to be fired in space. Rate of fire: 800 rounds per minute. Feed system: Standard 45 round magazine. Sights: Holographic or adjustable iron sights. The Izhak marksman rifle was developed from the late Dragunov SVD. It is a high powered rifle used by designated marksman in the Zeleniyan ground forces. Maximum range: 1300 meters with scope. Feed system: Standard 14 round magazine. Sights: ZRO-1 telescopic sight or iron sights. ZPK-05 The ZPK-05 is an updated version of the PKP Pecheneg and PMK models of former slavic armaments. It is used on the squad based level and to provide a high rate of heavy suppressing fire. Feed system: 100 magazine, or 100, 150, 200 belt fed. The ZShG 'demolisher' hybrid HMG. The ZShG is the next step in Zeleniyan weaponry. It is extremely accurate, fires at a rate of 2000 rounds per minute, and can sport several additions such as a silencer, rocket launcher, or a flame thrower. Not to mention being extremely light. However, it costs as much as the average Zeleniyan APC, so it is issued to the elite of the elite, such as the Czar's personal guard and black ops operators. Rate of fire: 600 rounds per minute full auto, 2000 rounds per minute with 3-round burst. Feed system: 300 round magazine. The Metis mark three is the third generation of the shoulder launched anti-tank guided-missile the 9K115 Metis-M. The ZUS-46 troop transport/resupply truck. The ZUS-46 is a lightly armored truck that can carry up to 15 troops not including the driver. It is also the main form of transport for ammo and fuel for mechanized infantry units. It can be plated with some light armor if the situation arises, but most of the time will not be armored to be able to load as much ammo as possible. The ZMP-2 IFV is the most produced combat vehicle in the Zeleniyan army. The majority of the Zeleniyan army is made up by mechanized infantry, and the ZMP-2 is often attached to squad level command as a squad vehicle, used for light recon, or attached to tank platoons to act as anti-infantry support. Anti-aircraft variants remove the dedicated turret and put a 30mm AA flak cannon or a 4-missile SAM platform. Main Armament: 40mm automatic cannon. Secondary Armaments: Matlevka 2MM1 Anti-Tank Guided Missile, 14.7mm ZhnSK heavy machinegun, ZPK-05, smoke grenade launchers. Crew: Gunner, driver, commander. Infantry compartment that can hold 10 men. DUBrv-14 tank destroyer. The DUBrv-14 tank destroyer is a highly mobile, and fast tank hunter. It is able to run in most terrains, from mud to deserts to hills. It was created as a part of the Zeleniyan doctrine that allowed for a fast flanking anti-armor unit. It has light armor to keep its speed up, a powerful engine, and a large gun. The DUBrv-14 is strictly used to out maneuver heavier armor, and will use its speed and agility to its advantage to outflank heavy armor. It also has a laser that allows for artillery or airstrikes to pinpoint attacks on where the laser is pointing. It can be equipped with fast moving hover engines in extremely bad terrain. Main Armament: 150mm smoothbore gun compatible with the YAK-6 tank-barreled ATGM. Secondary Armaments: 14.7mm ZhnSK heavy machinegun, XM-01 laser targeting system. Tetrovka MBD. The Tetrovka is a massive tank with incredibly heavy armor and a huge gun. It is able to withstand multiple hits and keep rolling. It is the main component in the Zeleniyan army, as it is the fist that punches a hole through enemy lines, allowing infantry to follow in after it. Experimental versions allow for a slow moving hover that allows movement over bad terrain. Main Armament: 188mm smoothbore gun. Secondary Armaments: 14.7mm ZhnSK heavy machinegun. The Yelenov-6 is a highly versatile attack gunship based off of the Mi-24 hind. It is propelled by twin VTOL rockets and can move to speeds of 2 kilometers per hour. The Yelenov-6 has no dedicated weaponry, every offensive capability can be interchanged according to the situation. Marine variants can be deployed from space. Main Armament: Many and varying. Secondary Armaments: Flares, signal jammer. Crew: Pilot, co-pilot/gunner. Back compartment seats up to 10 men. The ZMK26 Shilka is a state of the art self-propelled anti-air artillery system that can defend a position in a radius of 5 miles from enemy air attacks. Main Armament: 8 Strela-Z77 anti-air missiles. Secondary Armaments: x4 37mm cannons, radar tower. Crew: Driver, gunner, commander, radar operator. ZMiG-75. The ZMiG-75 is a versatile fighter bomber of Zeleniyan armed forces, and can play a role both planetside and in space. Main Armament: YAK-5 50mm autocannon. 12 wingslots for various bombs and missiles, underslung bomb container. Secondary Armaments: Flares, chaff, decoy beacons. The ZMiG Interceptor The ZMiG Interceptor is a high-speed fighter that excels in out-maneuvering, out flanking, and destroying enemy fighter-class ships. Main Armament: YAK-5 50mm autocannon. 8 missile wingslots. Secondary Armaments: Flares, chaff, decoy beacons. The Nakhut bomber is used for heavy duty CAS strikes on the planetside and the main tool for destroying enemy space fleets. It has state of the art bombing systems that allow it to engage targets through dense clouds, treacherous asteroid fields, or many kilometers away. Main Armament: YAK-5 50mm autocannon. 6 guided bomb slots, 2 heavy missile wingtips. The Zeleniyan Navy, like it's Army, is an echo from the past. In the days of modern sea faring warships, carriers and their fleets reigned supreme. So, it's not any surprise that half of the Navy is comprised of carriers, and half of those that are not carriers have 1-2 spacious hangars. The secondary form of offense is heavy missiles loaded on battleships, cruisers, and frigates of the Navy. On the defense, the Zeleniyan ships use heavy armour and point defense, have a high engine efficiency, and use advanced repair systems. The Zeleniyan Navy relies on three main types of jets, The ZMiG-75 as a balanced offensive unit that is capable of dogfighting and doing CAS. The ZMiG Interceptor, a breakneck fast defensive jet that escorts bombers and engages enemy fighter-craft attacking the ships. And the ZMiG Nakhut Bomber, a large space-ship cracking jet that is capable of devastating CAS runs and packs a punch on enemy ships. Zeleniyan sailors are more often equipped with reflex, intelligence, computer compatibility, and ship repairing augmentations or implants. The pilots of the Zeleniyan Navy are heavily trained and extremely intelligent, as they are the main offensive and defensive capability of the fleet they must be the best of the best. Thus pilots are seen as heroes almost in the eyes of their peers. The Patrul-Class is a frigate designated primarily for exploration, recon, troop transport, and territory patrol operations. It is around 200 meters long and sports 2 light missile launchers as well as an improved engine. The Kravenkov cruiser is a 750 meter long ship designated for anti-cruiser and anti-battleship capabilities, with 8 heavy missile installments and a radiator, it is the only offensive ship in the Navy without a hangar bay. The Leokranso battleship is a 1.6 KM long ship wielding 6 heavily missile emplacements, a radiator, two engines, and two hangar bays. Named after the current Czar. The Burydi class carrier is a 1.3 kilometer long carrier which carries no weapons. It instead holds 3 hangars, 2 engines, and 2 remote repair modules. It holds 16 squadrons of various ZMiG fighter craft. Named after the current Lord Admiral of the Zeleniyan Armed Forces. The Batruka is the jewel of the Zeleniyan Navy, at around 3.5 KM long. It is argued as the only Capital ship in the known galaxy without any weapons besides point-defense guns, and mocked for the same reason. This powerful support ship holds 3 engines, 3 hangars, and 4 remote repair modules. Unlike the Burydi, it can only hold 12 squadrons as opposed to the Burydi's 16.
updated the page finally. got rid of all that table crap that was too difficult to be bothered with. added some stuff here and there.